1) White Noise is an iconic electronic band formed in London in 1969 by David Vorhaus, a classical bass player with a background in both physics and electronic engineering. 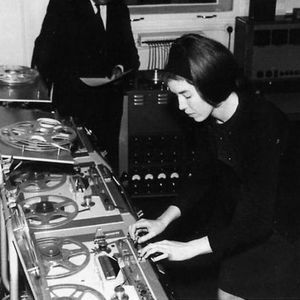 He was initially joined electronic composers Delia Derbyshire and Brian Hodgson of the bbc radiophonic workshop. 2) White Noise are also an alternative rock/metal band drom the Burnley area. They split in 2003. They reformed for a short period in 2004 and are currently inactive. 5) White Noise is also a Punk/Thrash Metal band from Alberta, Canada. 6) White Noise is also an Australian RAC band. 7) White Noise is also a Scottish Christian Hip-Hop act. 10) White Noise is also an all-female alternative rock band from Vietnam. The band evolved from a formerly four-piece band called Lazee Dolls. The current line-up includes Ph? ?ng H? (lead vocals, guitar, composer), Minh Th?o (vocals, guitar), Thanh T?m (bass), and Kh?nh An (drums).